1. FREEDOM FROM HUNGER AND THIRST. by ready access to fresh water and diet to maintain health and vigor. 2. FREEDOM FROM DISCOMFORT. by providing an appropriate environment including shelter and a comfortable resting area. The Pet Professional Guild (PPG) believes unequivocally that the pet-owning general public needs - and deserves - to have increased access to better education to help ensure that all pet animals live in safe, nurturing and stable environments. Such environments can go a long way towards preventing behavioral issues. However, depending on an individual dog’s genetics, environment and early learning experiences, behavior problems may still occur, in spite of an owner’s best efforts. Numerous respected scientific studies confirm the efficacy of positive, reward-based training, as does the collective experience of PPG’s highly skilled and qualified membership worldwide. To this end, PPG’s official position is that the use of electronic stimulation, “shock” or “e-collars” to train and/or modify the behavior of pet animals is completely unnecessary for effective behavior modification and has no place in ethical animal training. Such practices are also inherently damaging to the animal, as we will outline below. 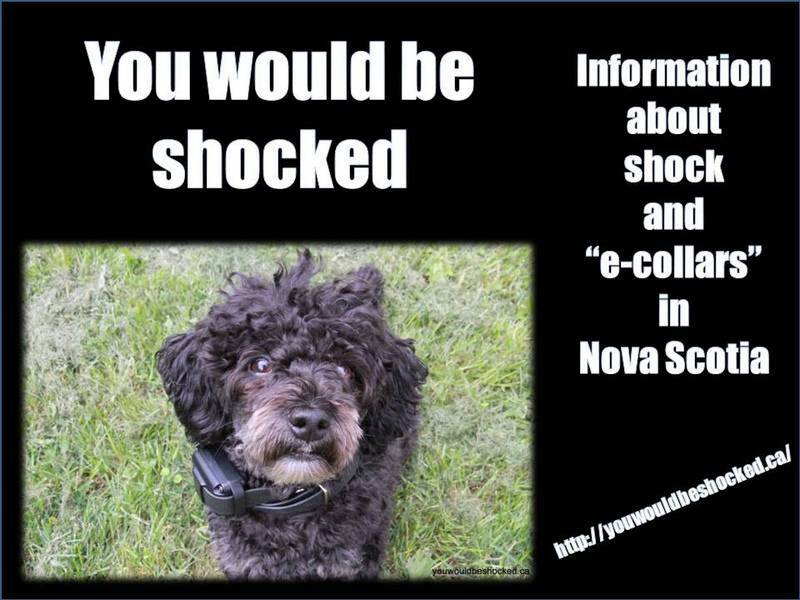 • Infliction of Stress and Pain Even at the lowest setting, electronic stimulation devices present an unknown stimulus to pets which, when not paired with a positive stimulus, is at best neutral and at worst is frightening and/or painful to the animal, not to mention unpredictable. Pets who learn to exhibit a specific behavior in order to escape or avoid fear or pain are, by definition, being subjected to an aversive stimulus. Such dogs are experiencing an extremely negative emotional state which, ethical issues aside, is not at all conducive to learning. • Generalization For behaviors to become reliable in any given context or situation, they must be repeatedly practiced in a variety of environments (known as “generalization”). In the initial stages of training, a behavior is reinforced every time it occurs until it becomes learned, a process known as “continuous reinforcement.” Once learned, a knowledgeable trainer will switch to an intermittent, or random, reinforcement schedule where the dog is reinforced for only some of his responses. Imagine now the exact same situation but replacing positive reinforcement with an unpleasant stimulus such as electronic stimulation. In behavior terminology, the presentation of an aversive event is known as positive punishment. 1 According to basic learning theory (and in exactly the same way as explained in the various reinforcement schedules above), a pet would have to be continuously subjected to the electronic stimulation for the behavior to have any chance of becoming reliable. There is also the risk that the animal would be continually punished for other behaviors. Either way, the punishment would only cease if the correct behavior happened to be performed. Then, to maintain the desired behavior, the pet would have to be subjected to the electronic stimulation on a random or intermittent basis. It is often the case in such a scenario that the behavior being trained never becomes reliable. This is because, any time the electronic stimulation device is not present, it is missing from the cue system that the animal associates with performing – or indeed suppressing - a behavior. Therefore, in addition to being a highly aversive stimulus, an electronic stimulation device is ineffective unless it is worn frequently, if not constantly. • Escalation If results are not immediately realised, many users of electronic stimulation devices will not hesitate to increase the level of stimulation, which often results in the animal attempting to escape or avoid the stimulus at all costs. In some cases this leads to a total shut-down, with the animal offering no behaviors whatsoever. If an animal is highly emotionally aroused (e.g. feeling fearful or anxious in an aversive training situation), then the part of the brain that makes rational decisions is automatically inhibited (the reverse is also true – if an animal is engaging his brain to solve cognitive tasks such as those presented in a positive training session, he will be much less emotionally reactive). A counter-productive paradigm is thus created in which little – if any - learning can occur. It becomes biologically impossible. Additionally, some animals are inherently stoic and may fail to show a pain response despite increased levels of electronic stimulation. Other animals may become habituated to the pain and simply endure it, causing trainers to increase the level and frequency of electronic stimulation. The pain and stress caused in such situations has a significant effect, both on an animal’s psychological well-being and his physiology, increasing cortisol (the stress hormone) levels and heart rate. • Global Suppression or “Shut-Down” As mentioned above, an animal repeatedly subjected to electronic stimulation for several different behaviors may go into a state of “shut-down,” or a global suppression of behavior. This is frequently mistaken for a “trained” animal, as the animal remains subdued and offers few or no behaviors. In extreme cases, animals may refuse to perform any behavior at all (known as “learned helplessness”) and isolate themselves in an attempt to avoid recurring electronic stimulation. This is obviously completely counter-productive to the training of any new behavior and to the welfare of the animal. • Fear, Anxiety and Aggression Aversive stimuli have a variety of effects and can elicit powerful emotions such as fear and anxiety, emotions which can have a variety of undesirable effects. Even in situations where the fear of punishment makes an animal work harder, fear or anxiety can lead to a poorer performance. Another possible consequence of presenting an aversive stimulus is that it can elicit aggression. 6,7 Using electronic stimulation to reduce behaviors such as barking, lunging and growling may suppress signals like these that warn of a more serious imminent behavior, which may well include biting. Without ritualized aggressive behaviors, people and other animals have no warning before the animal being subjected to punishment feels forced to bite. It is the PPG’s position that desensitization and counterconditioning is the only ethical and effective paradigm in which to treat aggression in pet animals. Desensitization refers to the presentation of a stimulus that elicits little or no response from the dog, for example, the presence of other dogs at a certain distance, then gradually increasing the intensity of the stimulus to build up the dog’s tolerance. • Redirected Aggression Animals subjected to repeated electronic stimulation may become conditioned to associate the fear/pain of electronic stimulation with certain contextual cues in their environment. Respondent conditioning refers to reflexive, rather than voluntary behavior. 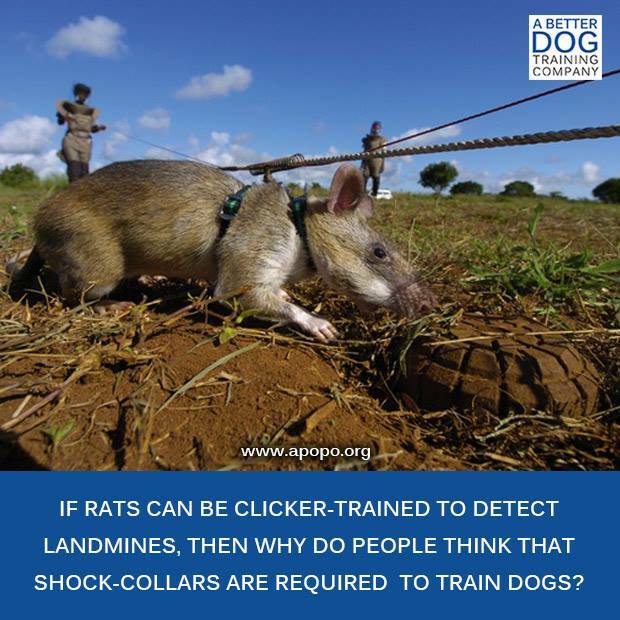 As an example, many dogs trained via shock to honor an electronic boundary in their front or back garden (also euphemistically referred to an “underground” or “invisible” fence) will approach a stranger on the other side of the boundary. As they attempt to cross the boundary however, they suddenly and unexpectedly encounter the painful/frightening stimulus of the electric shock. Repeated instances of this risk a dog learning that the appearance of strangers on the other side of the fence equals pain and thus electing to flee or act aggressively in a pre-emptive attempt to avoid what has become a painful and/or frightening stimulus. Alternatively, animals subjected to repeated electronic stimulation may act aggressively towards whichever human or animal is closest to them (if they are unwilling or unable to approach the actual object of their fear) in attempt to escape or avoid the pain and/or fear caused by electronic stimulation.6 This is known as “redirected aggression”). • Unintended Consequences To date, aside from the potential psychological damage, electronic stimulation devices have not been studied in terms of animal health. As such, there is currently insufficient data to determine whether prolonged use of electronic stimulation devices may pose a long-term health risk. However, many vets will attest to the fact that they have treated animals with burns caused by electronic stimulation. Conclusion It is the position of the PPG that all training should be conducted in a manner that sets animals up for success, to enjoy the learning experience, to feel safe and mentally engaged during training and, as a result, become more confident and well-adjusted pets. Further, PPG and its members actively eschew the use of electronic stimulation devices and resolutely recommend banning the sale of all such devices, as well as all related training and control aids intended to be used as any part of an animal training or behavior modification protocol.